What coin should be in every collector’s set? 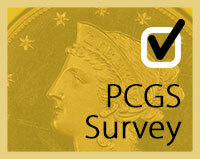 On the heels of Professional Coin Grading Service’s 30th anniversary, PCGS CoinFacts President and Founder Ron Guth discusses the website’s simple beginnings, massive growth and promising future in this eyeopening Q & A. From the recent Pogue auction. The finest 1860 $3 Gold in existence. This is the only MS67+ graded. None graded finer. 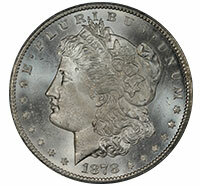 Once sold, there won’t be another chance to purchase a $3 Mint State piece as close to this coin’s quality. View this and more including New Purchases from the Baltimore Expo. 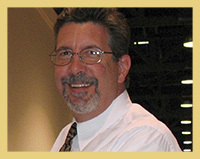 Coin Expert Mike Sherman discusses the fickle nature of coin grading in his ongoing series. 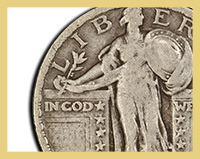 In the second installment of the series, Sherman covers Standing Liberty Quarters, touching on the coin’s predisposition to worn dates. 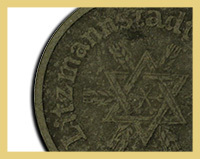 The first ghetto established in WWII – and the last to be closed – is encapsulated in coin form: the Lodz Ghetto Token. Set Registry Manager BJ Searls recounts the history of these coins and notes that the tarnished tokens should stand as a reminder of the ravages of war. 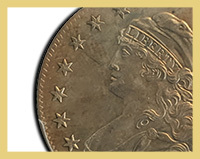 Legend Rare Coin Auctions announces the consignment of one of the classic rarities in the entire series of American numismatics, an original 1827 quarter. The coin, which has been off the market since 2007, is graded Proof-64 by PCGS and boasts a provenance back to the mid-1850s, and includes such luminaries as Loren G. Parmelee, Col. E. H. R. Green, and James A. Stack. L&C Coins What coin should be in every collector’s set?